Arlington Heights is a quiet, established neighborhood of single-family homes and duplexes located in Arlington, Virginia. 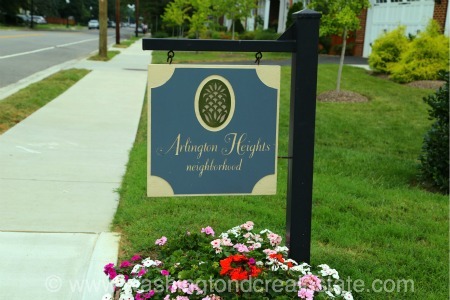 Originally part of the Custis estate (Martha Custis was the wife of George Washington), Arlington Heights is now home to a number of county and school facilities, in addition to the host neighborhood for the Arlington County Fair. The community includes four park areas, further contributing to the serenity of the area. Properties are largely single-family and duplex homes built from the 1890s to the 1950s, including a number of brick “center-hall” colonials and wood-framed farmhouses. Many of the duplexes and multi-family units were former boarding houses that were converted in the 1970s and 1980s to accommodate the demand for new housing. Arlington Heights is bounded by Columbia Pike on the south, S. Glebe Road on the west, Arlington Boulevard on the north and Fillmore St./S. Walter Reed Drive on the east.